I write you these words not knowing whether you will receive them, when you will receive them, and whether I will still be alive when you read them. Throughout my struggle for the independence of my country, I have never doubted for a single instant that the sacred cause to which my comrades and I have dedicated our entire lives would triumph in the end. But what we wanted for our country — its right to an honorable life, to perfect dignity, to independence with no restrictions — was never wanted by Belgian colonialism and its Western allies, who found direct and indirect, intentional and unintentional support among certain high officials of the United Nations, that body in which we placed all our trust when we called on it for help. They have corrupted some of our countrymen; they have bought others; they have done their part to distort the truth and defile our independence. What else can I say? ‘That whether dead or alive, free or in prison by order of the colonialists, it is not my person that is important. What is important is the Congo, our poor people whose independence has been turned into a cage, with people looking at us from outside the bars, sometimes with charitable compassion, sometimes with glee and delight. But my faith will remain unshakable. I know and feel in my very heart of hearts that sooner or later my people will rid themselves of all their enemies, foreign and domestic, that they will rise up as one to say no to the shame and degradation of colonialism and regain their dignity in the pure light of day. We are not alone. Africa, Asia, and the free and liberated peoples in every corner of the globe will ever remain at the side of the millions of Congolese who will not abandon the struggle until the day when there will be no more colonizers and no more of their mercenaries in our country. I want my children, whom I leave behind and perhaps will never see again, to be told that the future of the Congo is beautiful and that their country expects them, as it expects every Congolese, to fulfill the sacred task of rebuilding our independence, our sovereignty; for without justice there is no dignity and without independence there are no free men. Neither brutal assaults, nor cruel mistreatment, nor torture have ever led me to beg for mercy, for I prefer to die with my head held high, unshakable faith, and the greatest confidence in the destiny of my country rather than live in slavery and contempt for sacred principles. History will one day have its say; it will not be the history taught in the United Nations, Washington, Paris, or Brussels, however, but the history taught in the countries that have rid themselves of colonialism and its puppets. Africa will write its own history and both north and south of the Sahara it will be a history full of glory and dignity. Do not weep for me, my companion; I know that my country, now suffering so much, ‘will be able to defend its independence and its freedom. Long live the Congo! Long live Africa! Jean Van Lierde ed., Lumumba Speaks: The Speeches and Writings of Patrice Lumumba, 1958-1961 (Boston: Little, Brown and Company, 1972). 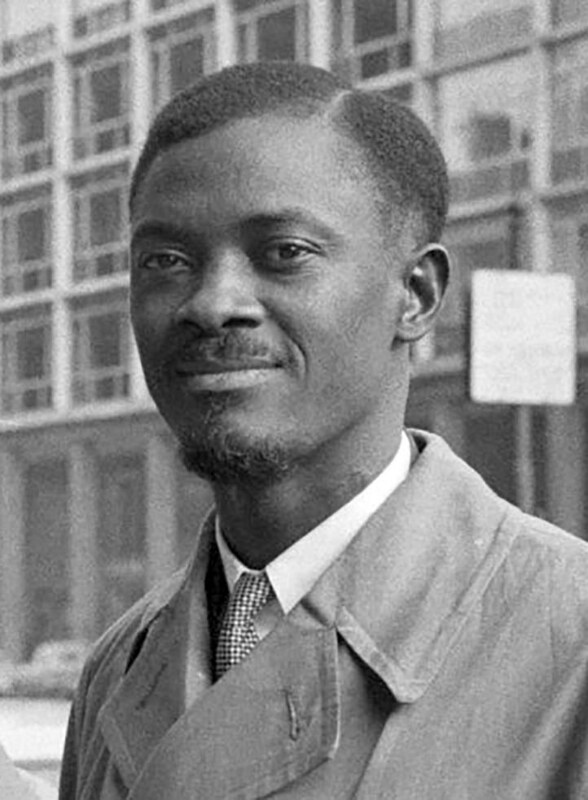 Patrice Lumumba, 1958-1961 (Boston: Little, Brown and Company, 1972).